Provincial Standing Committee has asked that an inventory of all land held by the church be drawn up with a view to making recommendations for the use of vacant land. 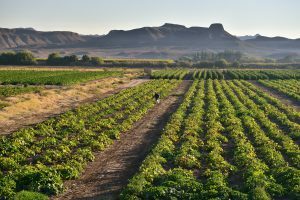 In a resolution passed at its recent meeting, it also asked for the development of a theological reflection on land expropriation without compensation. 3. Develop a theological reflection on land expropriation without compensation to be used at Provincial Synod. During debate on the resolution, the recent Sunday Times op-ed on land reform by Archbishop Thabo Makgoba was referred to as a useful resource. It was subsequently re-published on the Archbishop’s blog. It is really important that the church is taking the land issue as one of the most critical issues for discussion. I therefore commend the PSC on this resolution hoping that the process of listening to one another without being emotional – although it may be difficult to avoid such, will help us to find a permanent solution sooner rather than later.